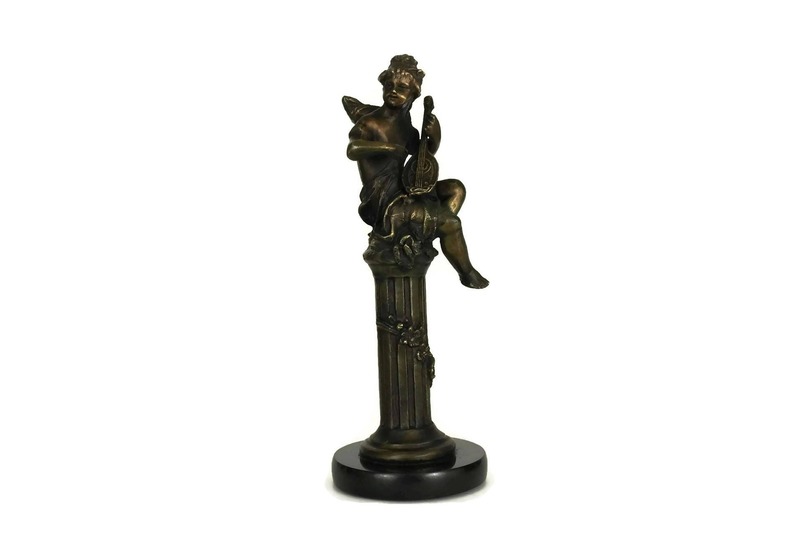 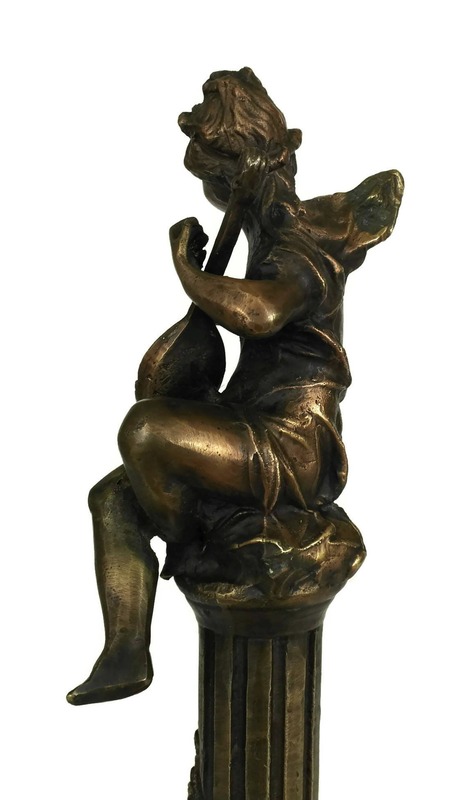 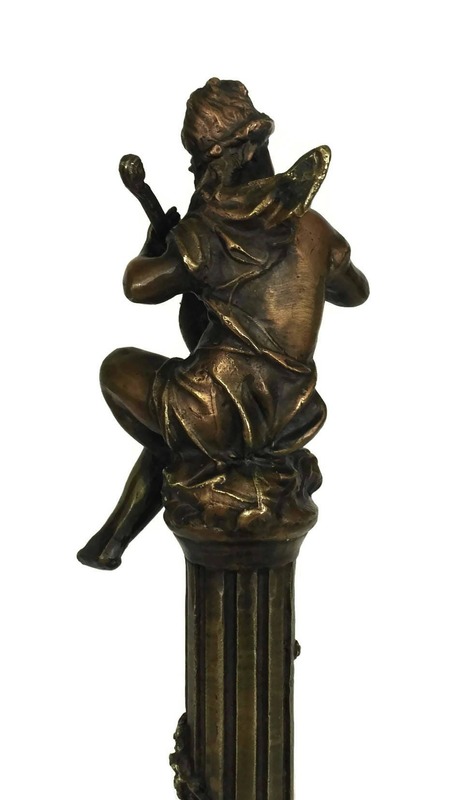 A beautiful French vintage bronze cherub statuette dating from the mid century. 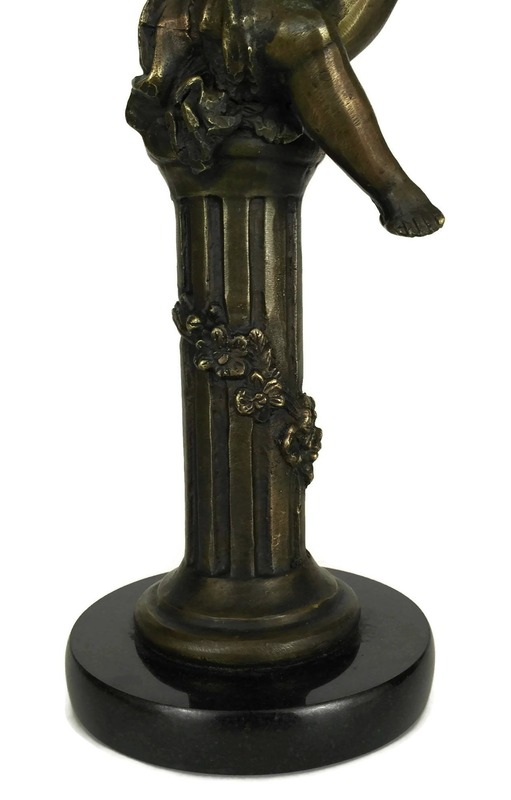 The angel figurine has been created from cast bronze and decorated with an aged copper patina. 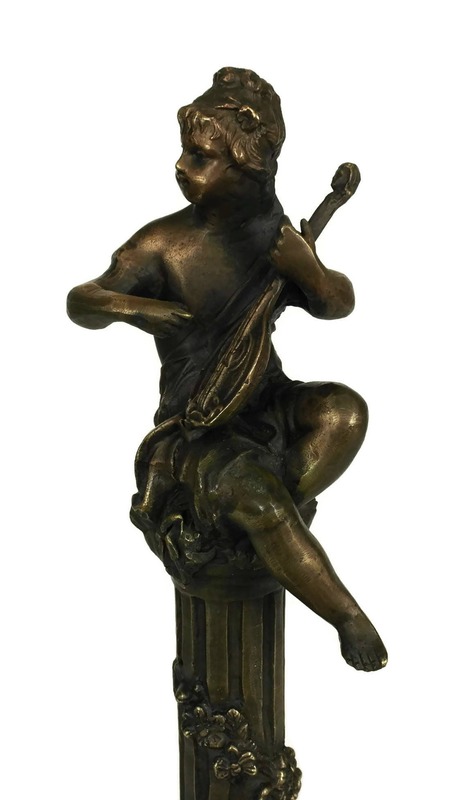 The figure of the cherub playing a musical instrument is supported on an elegant column which has been decorated with floral motifs. 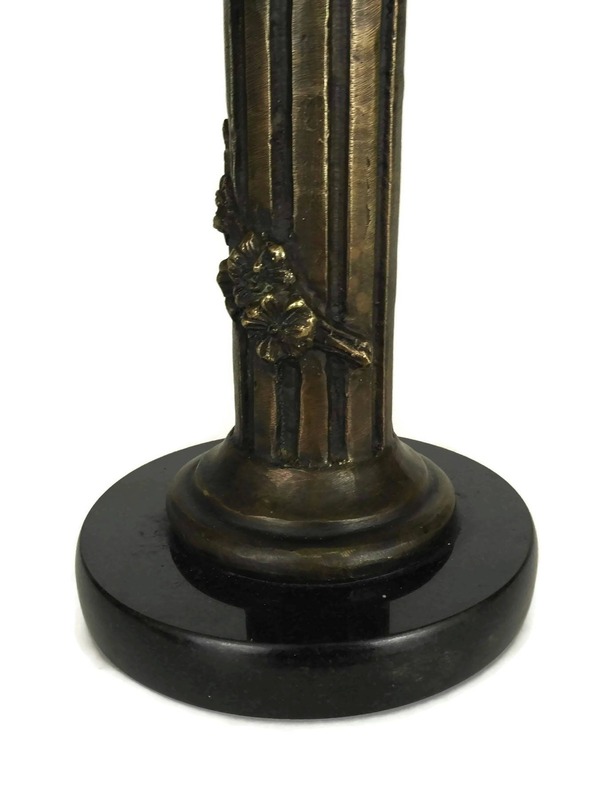 The base of the statue is polished black granite. 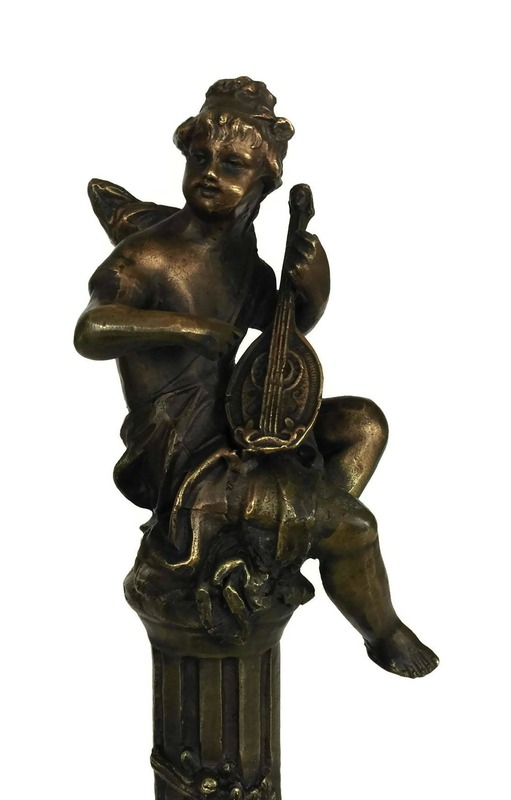 (33 cm x 13 cm). 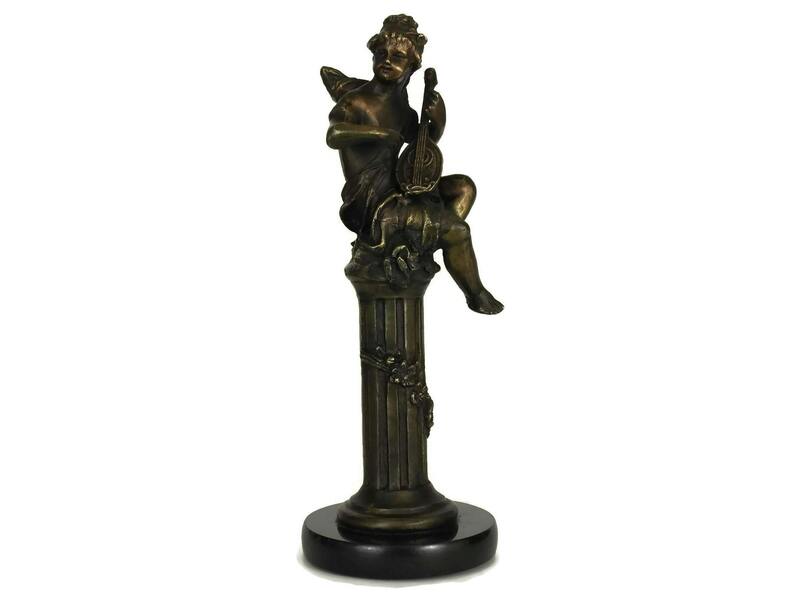 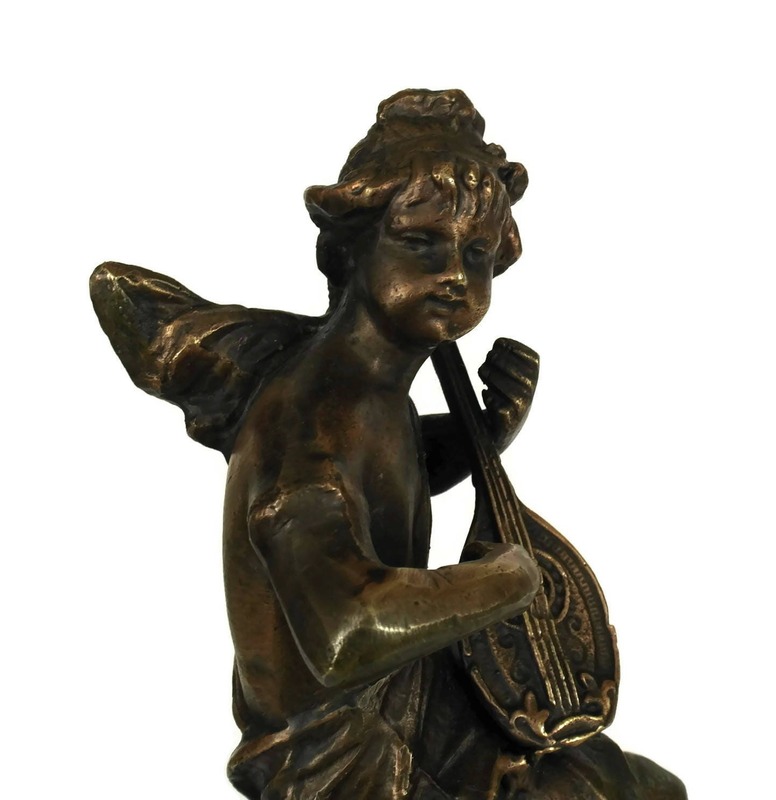 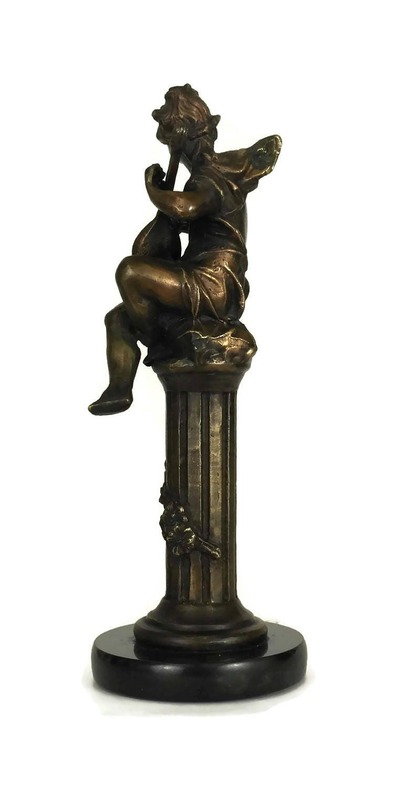 The French musical cherub statue is in very good condition with patina and light wear to the surface.